Got cling ons? We have lots and lots of deSIGNery cling-ons waiting for your design. The best time to order is now. We are having are Spring sellathon along with free ground shipping. For more savings and NO die-cutting charges, check out our 68 different sizes and shapes. If you are looking for cling ons with a size or shape that we do not stock, for a small die fee, we can produce what you are looking for. 100% satisfied customers. How do you know? We have an A+ rating at the BBB with no complaints. 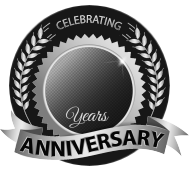 Customers have been happy with our designery cling ons for more than 24 years. Not every business is eligible for BBB Accreditation. Businesses must meet, commit to and maintain the BBB Code of Business Practices in order to be eligible for and maintain BBB Accreditation. The Code is built on the BBB Standards for Trust, eight principles that summarize important elements of creating and maintaining trust in deSIGNery Signs. deSIGNery signs has been producing cling ons for more than 24 years. You can make them round, square, rectangle, oval or custom shape, anyway you want. If you need help just reach out to us. We've been doing this for decades and know everything about non adhesive cling ons. We can walk you through the process and help you produce the right product to enhance your innovative idea or promotion. Have you ever gone out in the new year to remove your old parking permit and put on a new one. You then realize the old one was adhesive and you need a chisel and Hammer to remove it. Not with deSIGNery custom cling on decals. They go on easy and a year later they come off just as easy. There's no adhesive and they'll stay on your windows through all types of temperatures and maintain their vibrant color throughout the year. The great thing about deSIGNery cling on labels is there many uses. They can be used to promote your church, organization, charitable group, and probably displayed on different storefronts. 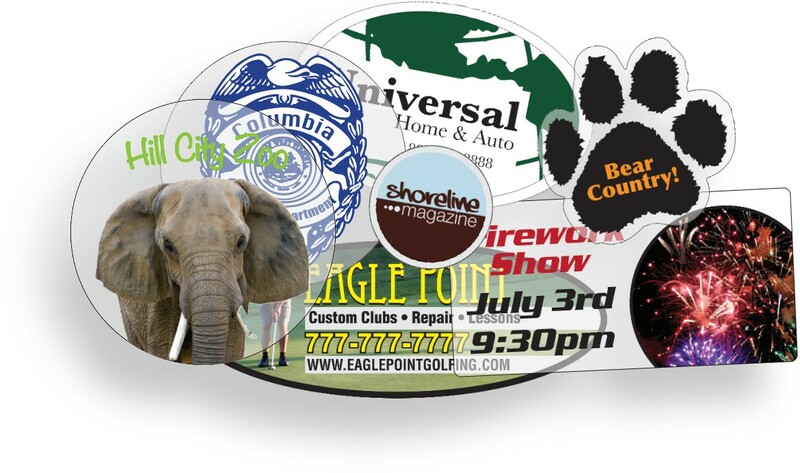 Our cling on stickers are also great for the automotive industry for oil reminders, tire rotation reminders comma Etc. If you're high school, college or university is full of cars, the best thing is consecutive numbered cling ons. With this you'll know who's car is parked where just by the number. Don't wait because our Spring sale will only last until 5/31/2019. This is a great time to order designery cling ons. Call us or email us, we will help you from start to finish. We will guide you to the whole process to make sure in the end you get the perfect product. If all you have is a logo and some text you want laid out we can do it for you. To make sure everything looks great we always email proofs. Changes you want we can do it then we will send you a revision. We want to make sure you have a great experience with us and in the end you will be our next happy customer. Cling-ons are called many different names. They are also known as; custom window clings, clear window clings, cheap static clings, cheap window clings, custom static clings, window clings, static cling stickers.